With the on-again, off-again, and now on-again Executive Order preventing certain groups from entering the country, the number of refugees entering the U.S. has decreased dramatically. A large portion of RefugeeOne's funding is tied directly to the number of refugees they resettle. You can probably see where this is going: as the number of refugees being resettled has decreased drastically, so has RefugeeOne's funding. In order to continue serving the clients they already have, RefugeeOne had to make the difficult decision to lay off some staff members and reduce the hours of others. One of the positions that was eliminated was the in-house childcare provider. Why is childcare important? Well, RefugeeOne offers a ton of support to help their clients find jobs, including English classes. Here's the stumbling block: parents can't bring their kids to class. 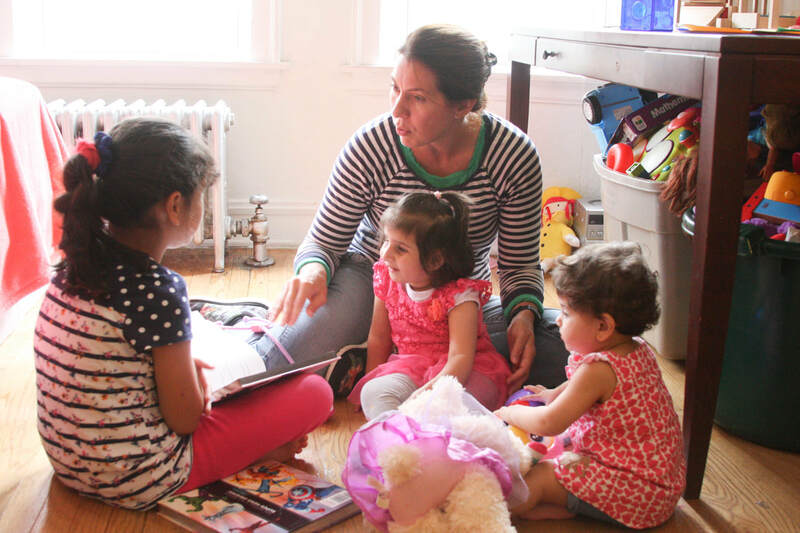 With few connections in the U.S. and no income, their outside childcare options are severely limited, and that's where RefugeeOne's free, in-house childcare comes in. Without childcare, our refugee families are suffering because they can't go to class, which means their job options are severely limited - an awful domino effect. The Executive Order doesn't just affect the refugees who have been waiting in camps for decades to come here. It also affects the refugees who live here in the U.S. It's easy to be angry - about the ban, about the fact that RefugeeOne has been forced to cut staff, about so much more. We can do something productive with that anger. We can help RefugeeOne raise the funds to bring back its in-house childcare provider. We can raise $20,000 to support that role without relying on fickle federal funding. Your gift of any size will be multipled thousands-fold, as you help refugees - who move here with the hope of a new life - get closer and closer to reaching that hope. Thank you for considering a donation. Your compassion is what the world needs today.